If you missed the first post, check out the Intro to Shenzhen, China. This entry was posted on Monday, May 4th, 2015 at 9:40 pm	and is filed under Hacker Camp Shenzhen, Shenzhen. You can follow any responses to this entry through the RSS 2.0 feed. You can skip to the end and leave a response. Pinging is currently not allowed. 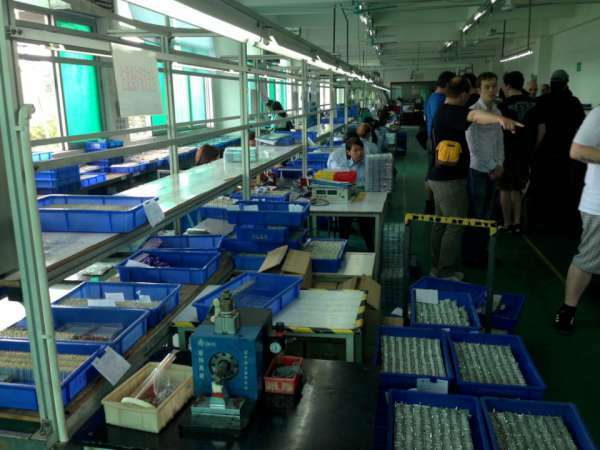 Do you have pictures of the DirtyPCB’s factory? I’m really curious what this looks like and how they manage to deliver their really nice service at these low prices. Hi, I missed #5 but I’m heading to SZ soon. When do you plan on Hacker camp #6?